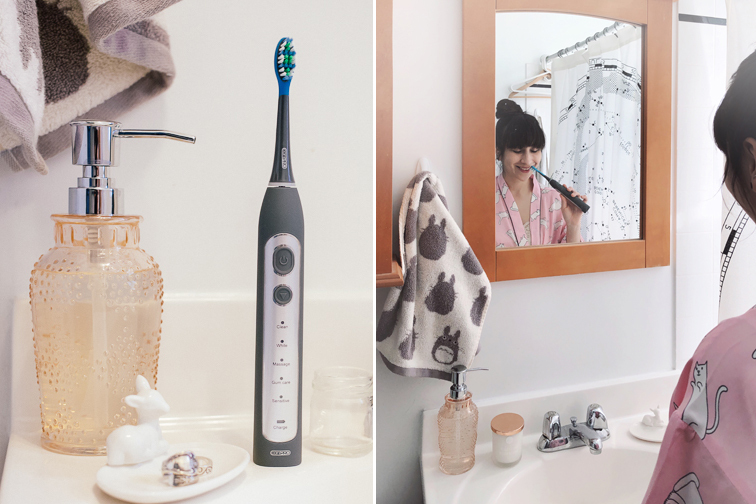 I remember when I got my first electric toothbrush and how I wish I had started sooner. Before moving out of my parent’s house and into Chicago I had a dentist appointment. My mom was shocked and disappointed to find out I had yet again fulfilled some of my teeth with cavities. Next thing I know I got an electric toothbrush gifted to me that following year on my birthday. 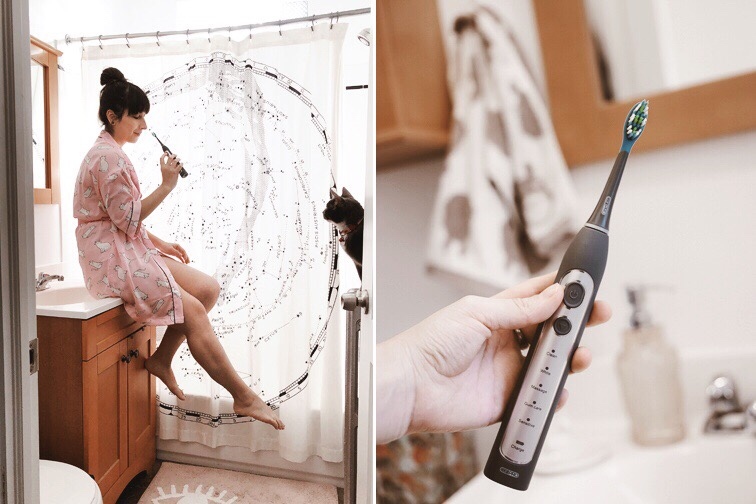 Ever since I love using an electric tooth brush over any other because it feels like my teeth are cleaner in less time than I would have to struggle with using a regular toothbrush. The advantages of using these kind of toothbrushes are also beneficial if you’re a tea & coffee addict like myself. 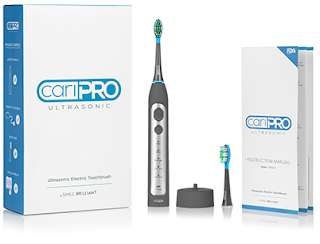 In desperate need of a new model toothbrush I was excited to team up with Smile Brilliant to try out the CariPRO Ultrasonic. It has 4 more settings than my old tooth brush including my favorite “massage” and “sensitive” mode. It feels less like I’m tediously brushing my teeth but more like a self-care action incorporate into my daily care routine. 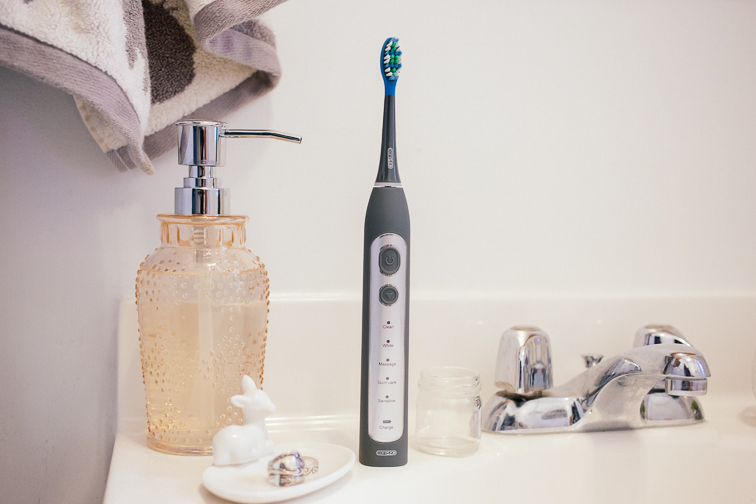 My teeth have been feeling clean as ever and I love the way the charcoal tone of the brush looks on my countertop. 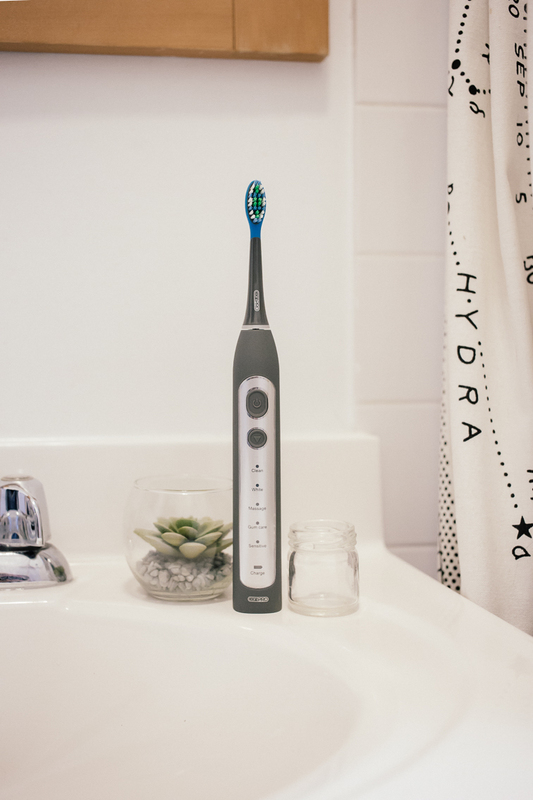 It’s perfect to avoid getting the yellow stains on my old white electric toothbrush used to get after a couple months. Hope everyone is off to a healthy & happy New Year!